Our staff are our most valuable asset and their development, participation and motivation are critical to Let Us Shine. Our culture, values and leadership behaviour all have a major influence on the quality of staff contribution and on the achievements to which children can aspire. Jeremiah is Let Us Shine’s General Manager. Jeremiah has hugely modernised the way the business side of the projects are run in Ghana, implementing new methods of practice and training for our staff in Kpandai. Previously he worked with a British Registered NGO in Ghana and has lots of experience in construction, team management and working with volunteers. He has a keen interest in developmental projects in Ghana and hopes to pursue a Masters in Development Studies in the future. He was born and raised in Ghana and holds a Bachelor’s degree from the Kwame Nkrumah University of Science and Technology in Kumasi. He also has Certificates in Hardware and Networking, A+ and a Diploma in System Engineering from IPMC. 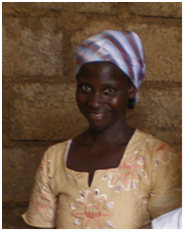 Hawa is a native of Kpandai and is ‘mother’ to all our girls at the school. She lives with them and takes care of all of their well being, healthcare and developmental needs. She is also our head cook and supervises two other cooks that work to provide three nutritional meals each day for the girls. Hawa has experience in working with International Organisations and has healthcare training allowing her to manage the vaccinations needed and minor ailments any of the girls may have. She consults a local doctor if anything more serious arises. 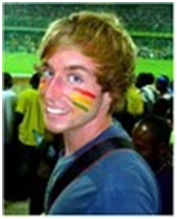 Adam is Let Us Shine’s Development Coordinator, responsible for researching grant opportunities, writing funding proposals, supporting fundraising events, and crucially, liaising with our UK volunteers and Ghana Country Manager on project planning. 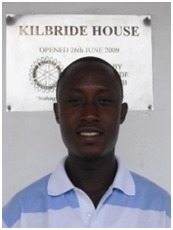 He is also the first point of contact for all volunteer enquiries and helps manage our Child Sponsorship Programme. Adam volunteered each summer at educational projects whilst undertaking university degrees. He holds a first-class honours degree in Geography, an MSc in Africa and International Development and a Postgraduate Degree in Primary Education. His practical first-hand experience of working with children, as well as academic fieldwork on ‘street children’ and girls’ participation in education, enables Adam to make a significant contribution to Let Us Shine’s projects.